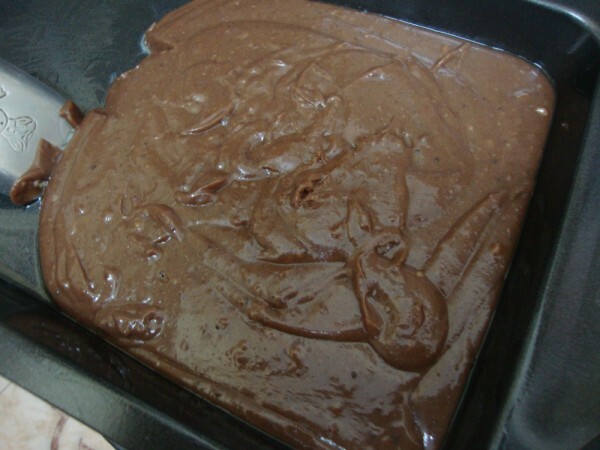 Yes this is Homemade Chocolate recipe 2. 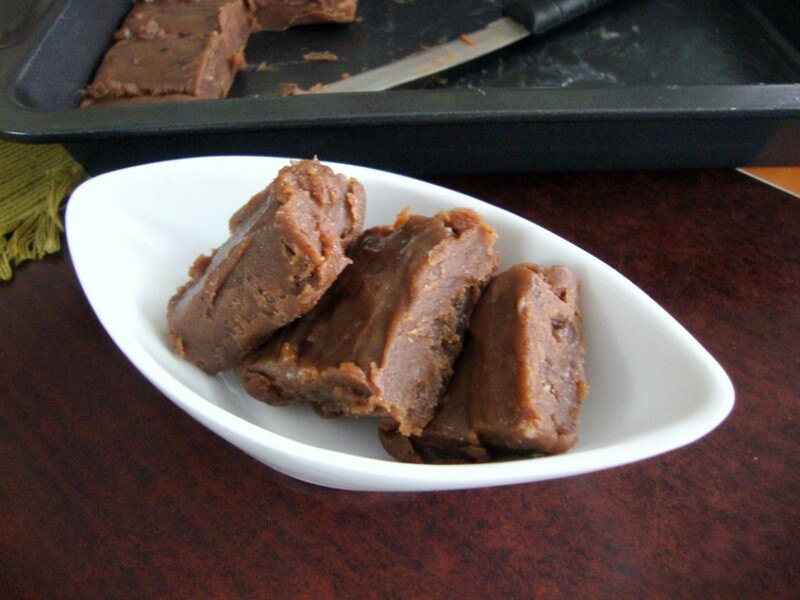 I have another recipe, which dates back to almost 15 yrs ago when I last made it. I must dig out that recipe soon. 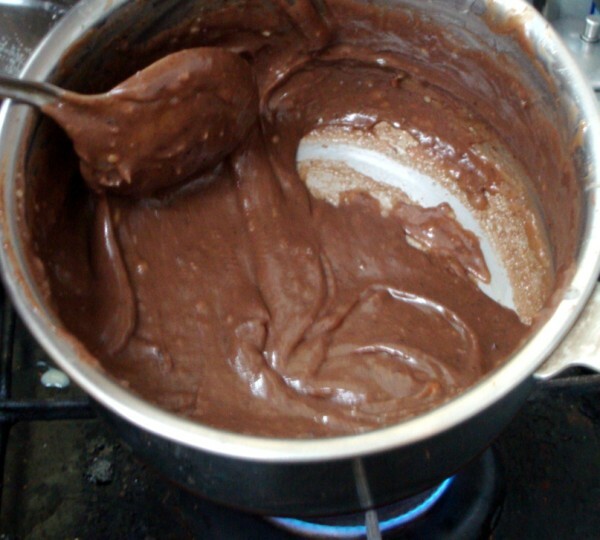 The previous chocolate recipe is done in microwave, while this recipe is completely on the stove top. 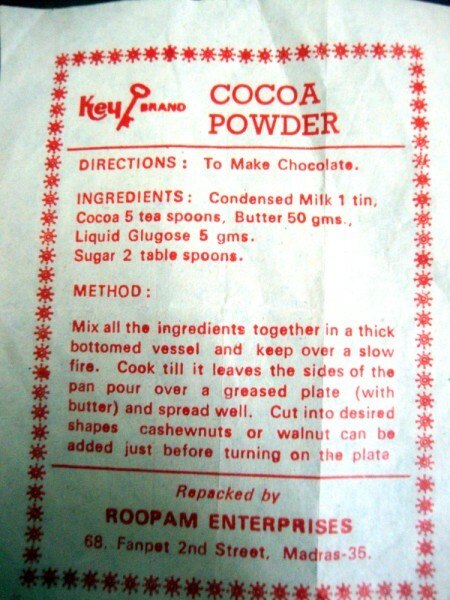 When I decided to make some sweet dishes from the collection of back covers, I came across this interesting recipe for Cocoa powder. 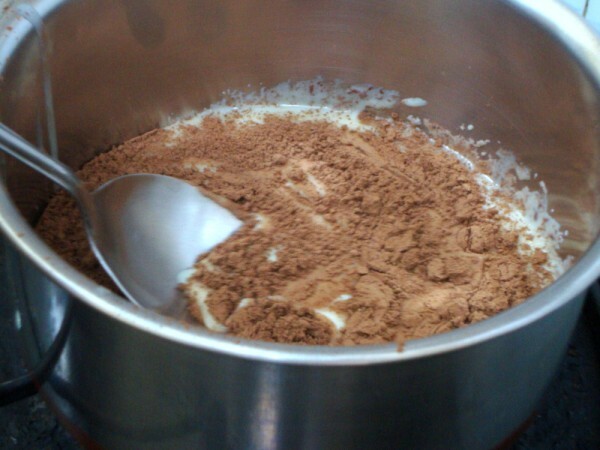 Yes I easily fall for anything that has cocoa, and have collected many recipes using that. This recipe on the cover is for Homemade Chocolates. It calls for Liquid glucose. I was sure it will be available in Nilgris. As expected they had it with them. At the billing counter the lady was most interested to know what I plan to make with it. When I said chocolates, she was impressed but had that peculiar look. Maybe she thought I was nuts to try make chocolates at home, when they had such a huge array of chocolates on display. I thought…well..
Homemade Chocolates always reminds me of our many trips to Ooty and Kodaikanal, where these plain chocolates and chocolates with nuts are so famous. I am not sure why, but somehow these homemade chocolates are famous in these hilly places. Does the climate in any way help this process or another reason behind? Or it can purely be a marketing thing all together. I simply know these humble treats are made famous by the tourists. 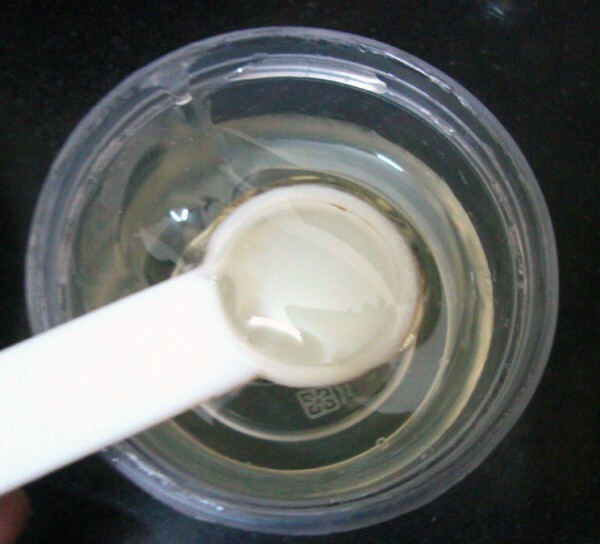 Coming to the recipe, if you are interested in the details, liquid glucose also called as Corn syrup, is mostly used in making Jams, Jellies, Ice creams, Chocolates. 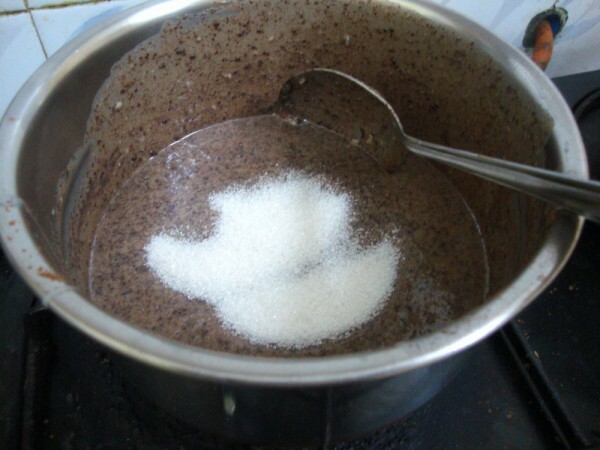 Liquid glucose prevents the cane sugar from crystallization. Plus it prevents spoilage without increasing the sweetness. 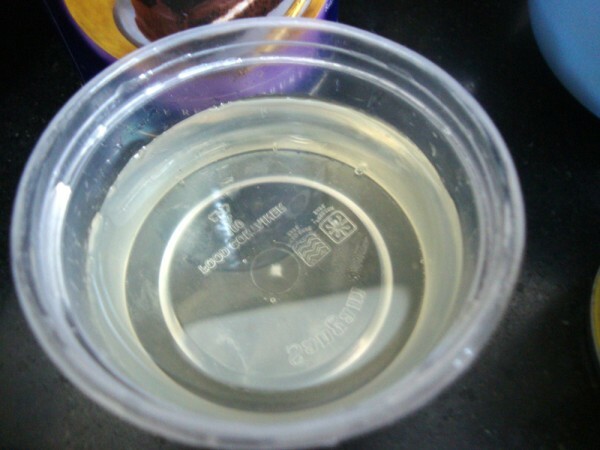 It also imparts a smoother texture in the product. I was surprised to read that in India, hard candies are often made entirely out of glucose syrup, without adding cane sugar. In ice-cream, the use of corn syrup has definite advantages. It not only prevents sucrose crystallization but also imparts a smoother texture. Cane sugar can be replaced up to 25%, without materially changing the properties of the ice-cream. This surely gives me lot of new ideas. You can read more about Liquid glucose simply google it or read from Wiki. Referred other sources from google search. 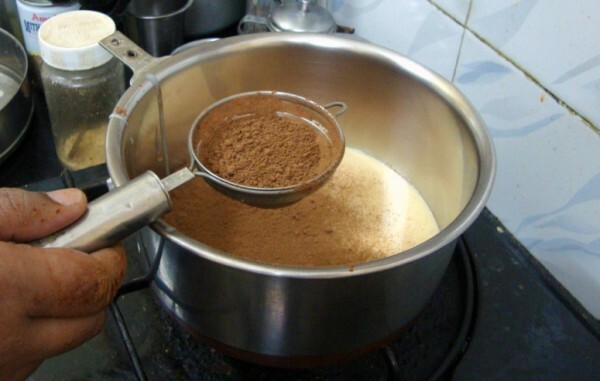 Plus if you want to know how to make chocolate from scratch, meaning right from making the cocoa powder from the beans, well check out the few sites that explain the entire process. I don’t think I am that adventurous. 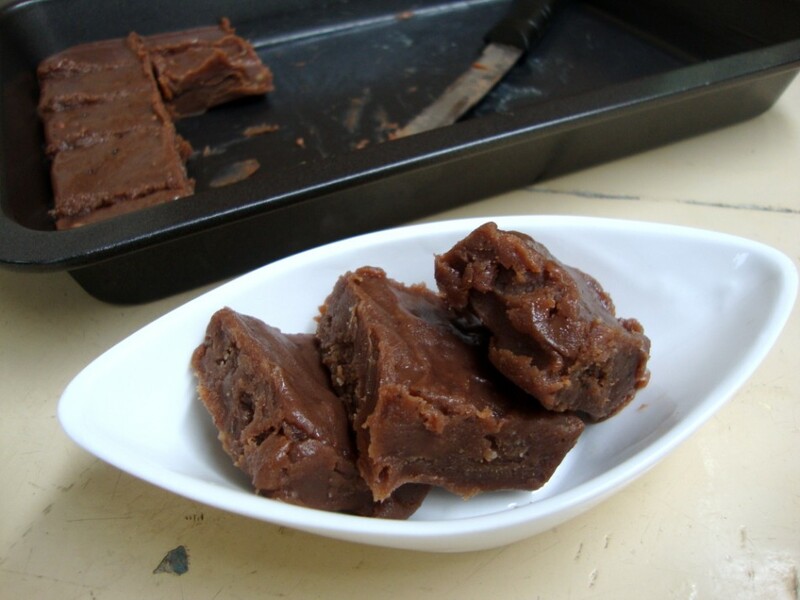 So will stick to the recipe that uses commercially available cocoa powder and make chocolates. Reading through the recipe, I realized that the procedure didn’t actually elaborate the steps involved in making chocolates at home. It really couldn’t be this simple right. On hindsight I realized I should have gone with my instinct and followed some steps to avoid lumps. Since this is my first experience with liquid glucose, with time being short, I really didn’t get enough time to experiment to give you more details. Will surely try it again and let you know how to handle the thick gel like substance that is Liquid glucose. It was almost impossible for me to extract the required amount to be added. There must be simpler methods, will check it out. 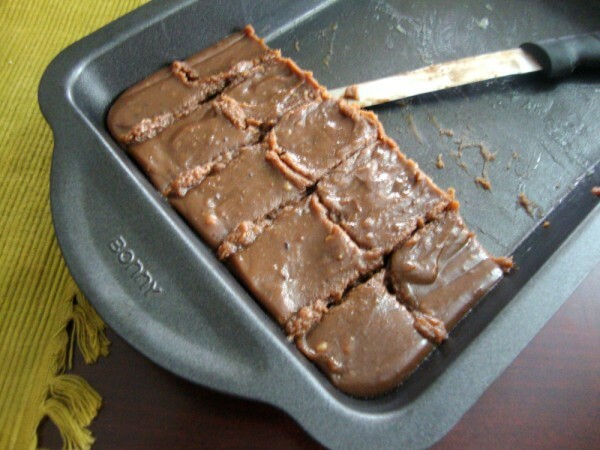 Grease a non stick square pan with butter and keep it aside. 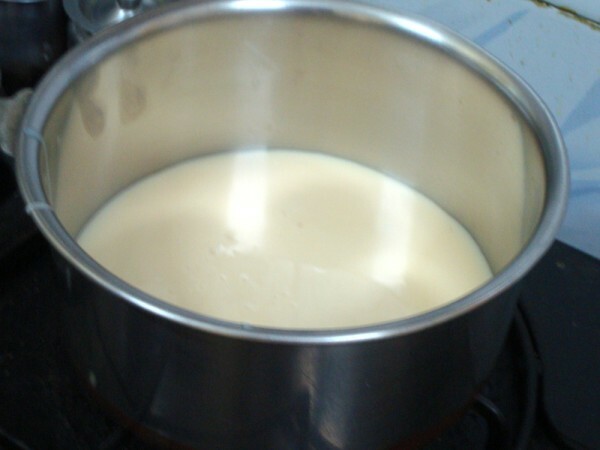 In a thick bottom pan, take the condensed milk. 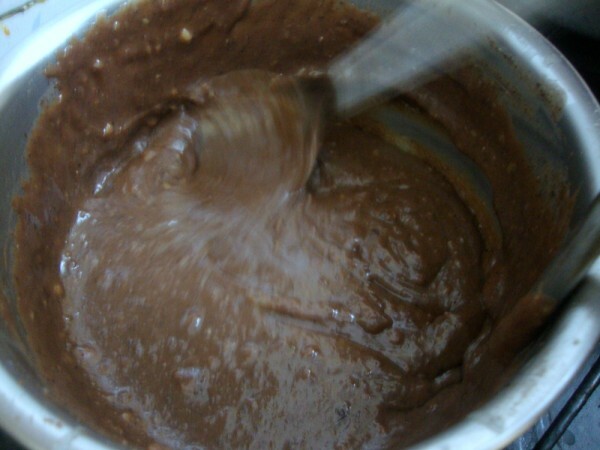 Add the cocoa powder, whisk it well to make sure you get a lump less mix. Put it on the stove, keep stirring constantly to make sure the bottom doesn’t get burnt. Add the sugar, continue stirring. Let it melt and get mixed well. 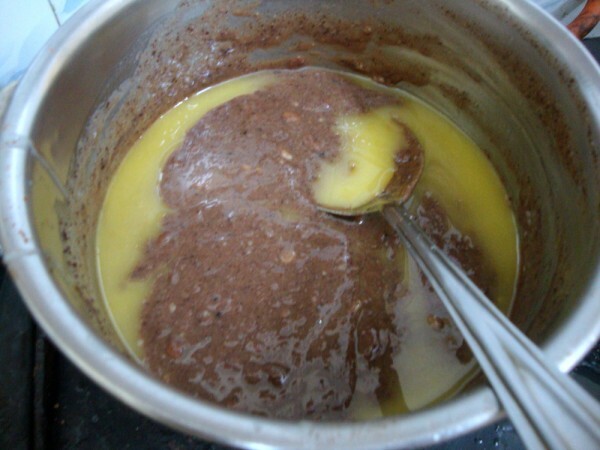 Measure the butter at room temperature and add slowly and continue mixing. 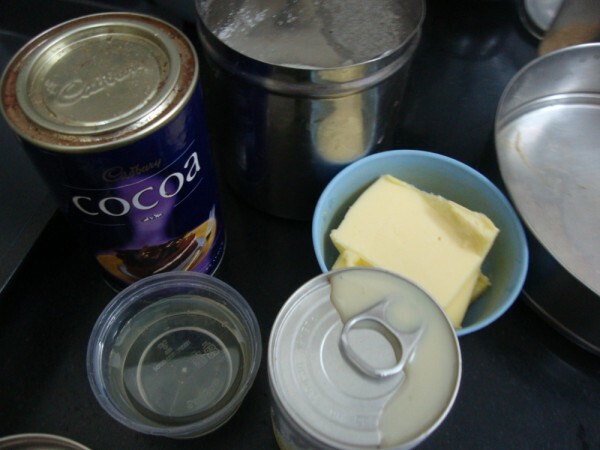 As you will see the butter will be all incorporated into the condensed milk. Continue till you are done with all the butter and the mix starts leaving the sides. 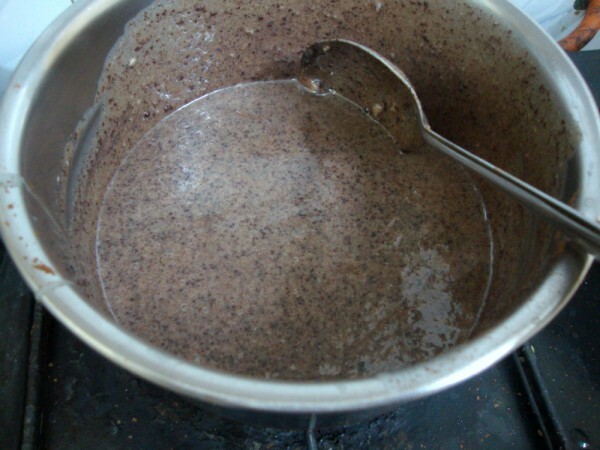 At this stage add the liquid glucose and mix well. Immediately pour over the greased pan. Pat down the pan, so the mix gets evenly spread. If you use any spoon or knife you will not have that smooth surface. If needed you can use greased knife to evenly spread. Allow it to cool down before cutting into pieces. You can even refrigerate to aid the cooling. I didn’t add any nuts as my kids don’t eat. But you can add slivered almonds, raisins, cashews just before pouring the mix. Or decorate with nuts. While I was making it, hubby dear came to check on me and on knowing it, he said I shouldn’t be slogging over such dishes which just vanishes. The last time I made it couple of times, both the times he hardly got a piece to taste. And he said it was going to be the same this time too. As he said kids were after me the moment I went home, looks like Athamma hinted on something like that. Since I hadn’t taken the final picture she knew she couldn’t give it to them, else it will be the case like in Chocolate Ice cream. I got about 20 big pieces but two rows disappeared the moment I said I made it. After much persuasion boys agreed to keep some for the next day, especially for their dad. Chinnu was all serious and said this has to be there when he returns back from school, else he will not know what he will do (when typically said in telugu, it will sound threatening.) Athamma replied back saying even she will not know what she will. Well it was a funny conversation. I enjoyed knowing how much they love chocolates. Chocolate looks yumm.. Corn syrup is widely used in a lot of sweet stuff even in the US, but didn't know that it was called liquid glucose in India–interesting. Looks yummy .. they look like brownies. This theme of BM is making me realize what gems can be hidden at the back of the packs. But somehow n Middle East there's rarely a recipe. Maybe after writing in Arabic & english, there's no space left. Thanks for sharing!! I heard using a wet spoon makes it easier to handle liquid glucose. wow! interesting to know about liquid glucose/corn syrup. Yummy home made chocolate. Love it when kids are after us for the dishes we made. wow, that looks delicious and very simple to make. At what stage do we add the rum/vodka if we were to turn them into liquor chocolates? Wowww.. Delicious looking chocolate.. Simply inviting dear. Thanx a ton, tried it but did not get liquid glucose so prepared sugar syrup at home and added mixed dry fruits at the end. Awesome recipe, simple and the measurements u gave were of great help. Rahul Thank you for the feedback, I am glad you liked it..Sugar Syrup sounds very interesting, I remember the other recipe that I have, I used to add sugar syrup. Must look upon the measurement..
what's 1 tin of condensed milk? Anon The condensed milk tins we get in Indian market is about 400 gms in quantity. I use either milkmaid or mithai maid..either of that entire tin works just fine. I was not able to get corn syrup/ liquid glucose, do U know of an alternative ingredient to this? Can I use date syrup? I'd appreciate an early response as I need to make this for tomorrow. Maya Thanks for dropping by. I am sorry I can really help with suggesting you to replace with date syrup. I know one can replace in certain proportion with corn syrup. However I am not sure about date syrup as I have not used it myself. Sorry for not being able to help. 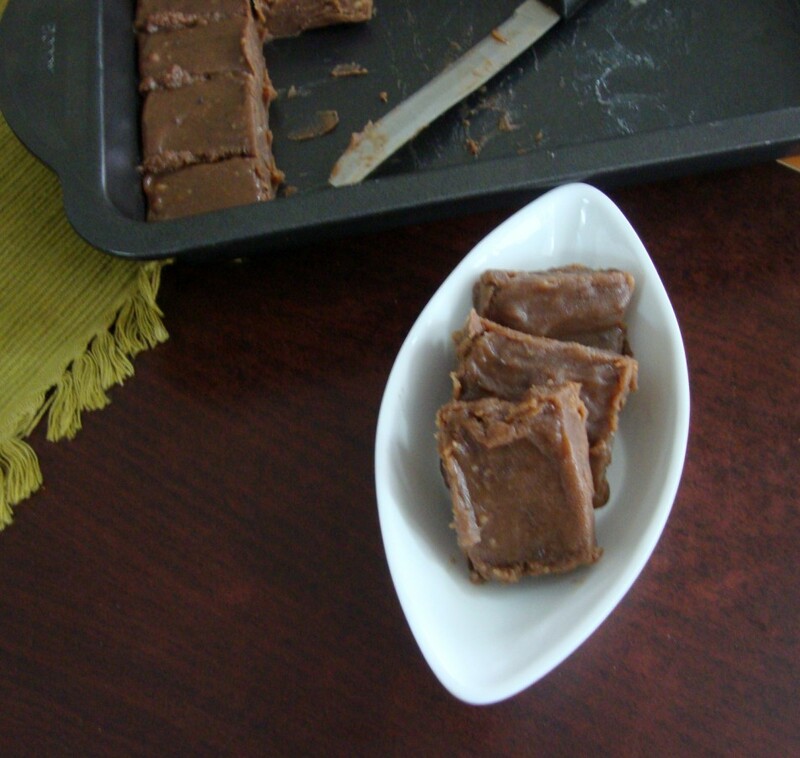 You can try the other homemade chocolate recipes that I have made. Seems yummy..jus 1 query..would it melt if not refrigerated? Akansha Yes the chocolates tend to become soft , so you can refrigerate if you want. I don't mind the soft chocolate as such.